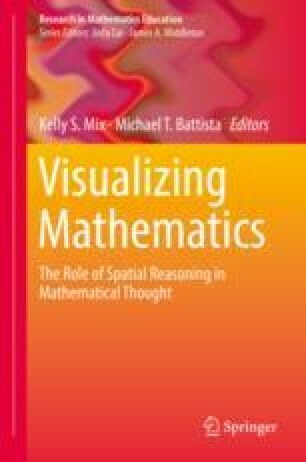 This chapter focuses on the relations between spatial reasoning, drawing and mathematics learning. Based on the strong link that has been found in educational psychology between children’s finished drawings and their mathematical achievement, and the central importance of diagramming in mathematics thinking and learning, we wanted to study children’s actual drawing process in order to gain insight into how the movements of their hands and eyes can play a role in perceiving, creating, and interpreting geometric shapes and patterns. We pay particular attention to the interplay between children’s drawings and their gestures, to the role of language in modulating children’s perceptions, and to the back and forth that drawing seems to invite between two-dimensional and three-dimensional perceptions of geometric figures. We seek to forge new ways of including drawing as part of the teaching and learning of geometry and offer new ways of thinking about and analyzing the types of spatial/geometric reasoning young children are capable of. Whiteley, W. (2002). Teaching to see like a mathematician. Retrieved from http://www.math.yorku.ca/~whiteley/Teaching_to_see.pdf.